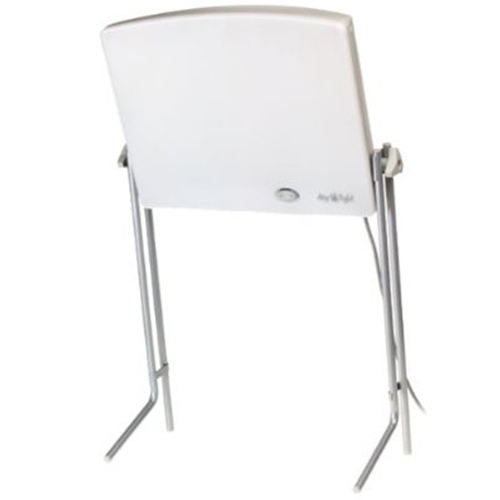 Uplift Technologies DL930 Day Light Classic from HealthyKin.com is designed to provide optimal bright light therapy treatment and for the user. 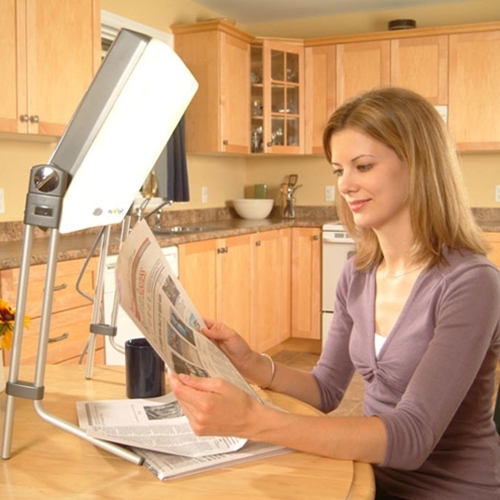 The height adjustable legs allow the light to be positioned at the appropriate height and angle for the user. 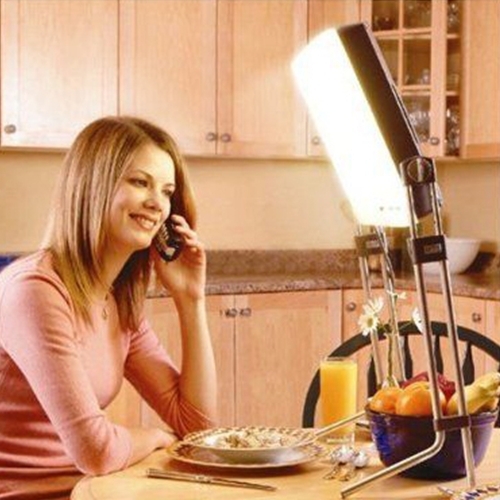 This is the optimal light positioning recommended by bright light therapy experts. The white diffusing lens eliminates glare and evenly distributes the light. Three 36-watt light tubes emit a warm light and minimize potentially harmful blue rays. Hi-impact polycarbonate lens filters 99.3% of harmful UV rays. Manufactured with high efficiency, electronic ballasts, the Day-Light Classic eliminates the annoying flicker experienced with ordinary fluorescent fixtures. The three-light setting provides 10,000 LUX. The two-light setting option is convenient for ambient lighting. There is a built-in stand located in the back of the unit which can be pulled out to set the Day-Light Classic up for the ambient lighting option. There is a built-in handle located in the back of the unit for easy transport.